If you balk at the thought of taking your cherished Chanel ballet flats to a nondescript shoe repair shop, head straight to Atelier Constance and leave them in the capable hands of Jerôme Voisin. You could even put them in the mail, as many of his international customers do. 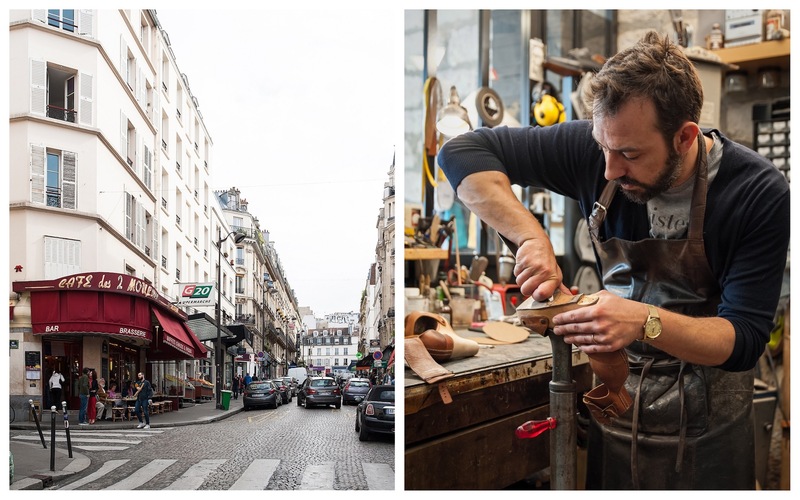 After a career in music production, the 36-year-old law-school graduate decided to follow in his father’s steps and became an artisanal cobbler, eventually taking over an existing cordonnerie à l’ancienne on rue Constance in Montmartre. Surrounded by old-style tools and expensive shoes in need of a reboot, Jerome doesn’t take any shortcuts, neither in his work or the materials he uses. 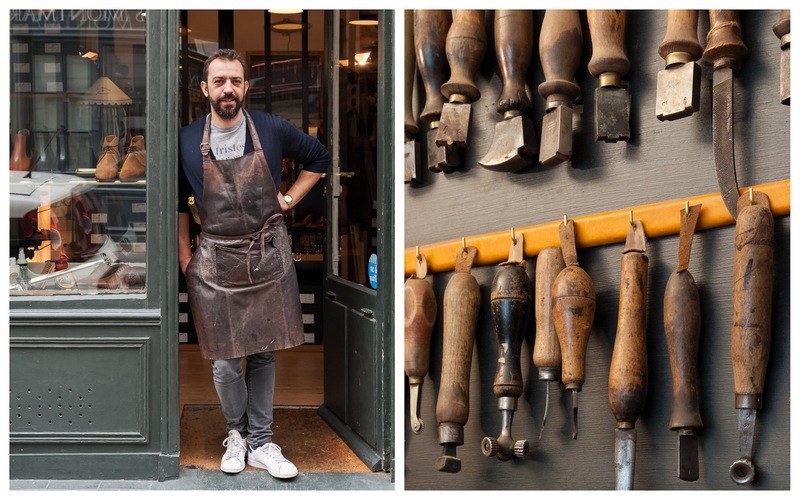 The cobbler works with vegetable-tanned leather from French suppliers and sources high quality stick-on soles that are more flexible and thinner than the thick, plasticky ones used in your average shop. 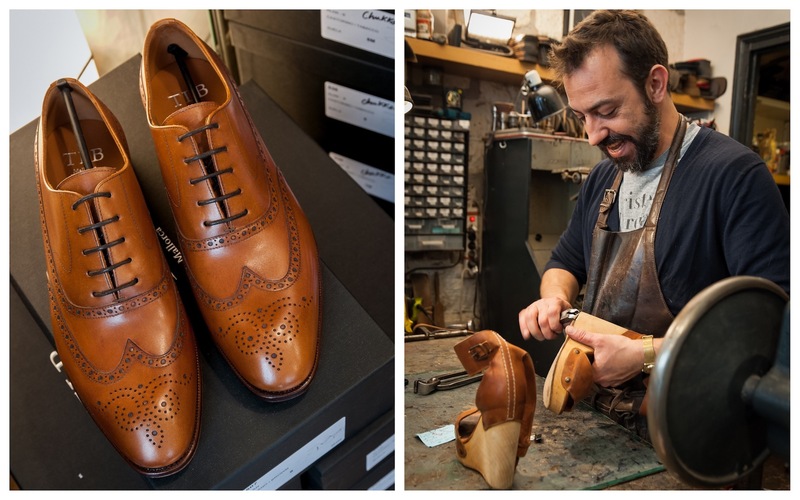 “It’s the small details that the customer doesn’t notice, but that help the shoes last longer,” he says, while pulling out old stitches from a pair of men’s shoes he has just taken apart. 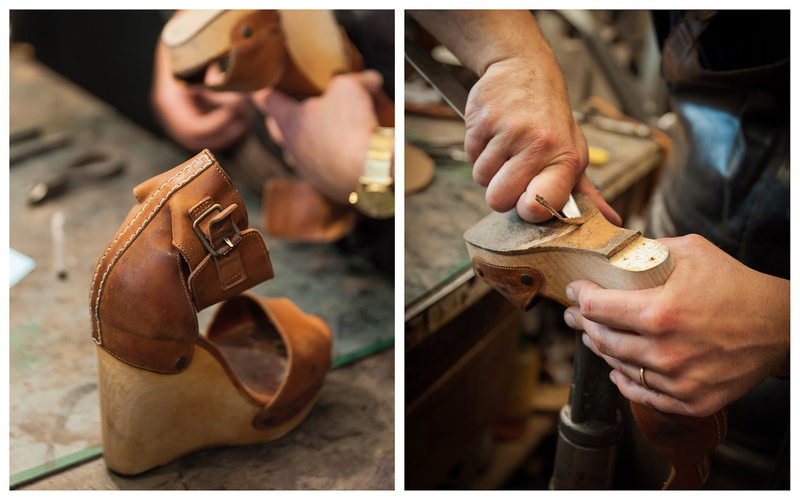 It’s a long and tedious process but it ensures an impeccable result when the new sole is sewn back in. Voisin’s immaculate eye for detail means that even the daintiest high heel sandals will look box fresh. In fact, he suggests taking shoes straight from the box to his shop to fit the sole with a virtually invisible no-skid pad. 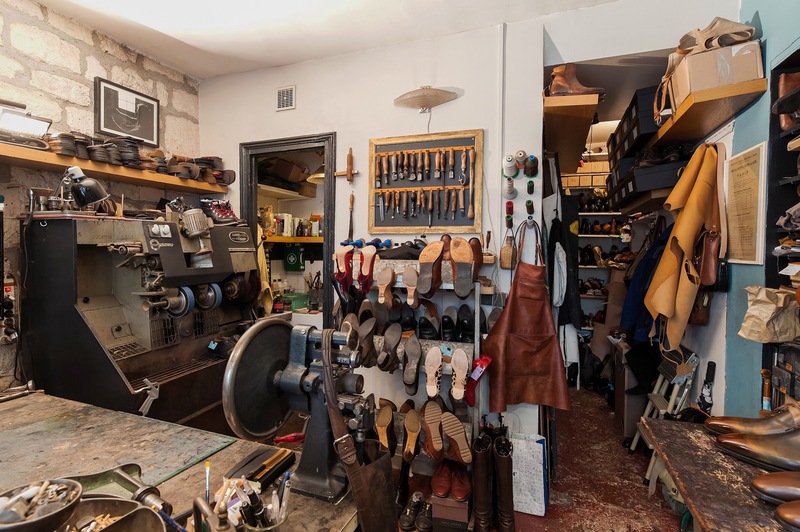 Seeing the care and attention that Jerome gives to each pair of shoes that enter his shop is enough to make you go through your closet and take your trusty leather boots in for a well deserved old-fashioned polish job. Atelier Constance – 5 rue Constance, 75018. Tel: + 33 (0)6 58 31 21 76. Metro: Abbesses. 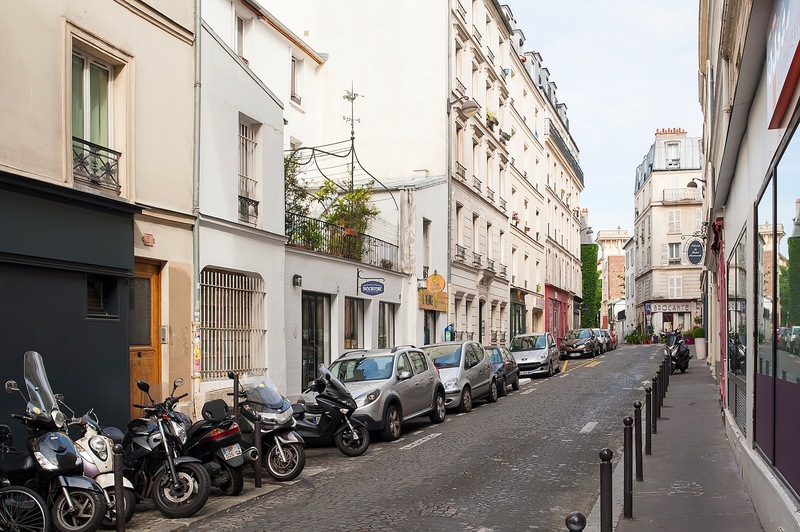 While you’re in the area, why not head to Une Glace à Paris for some artisanal ice cream. 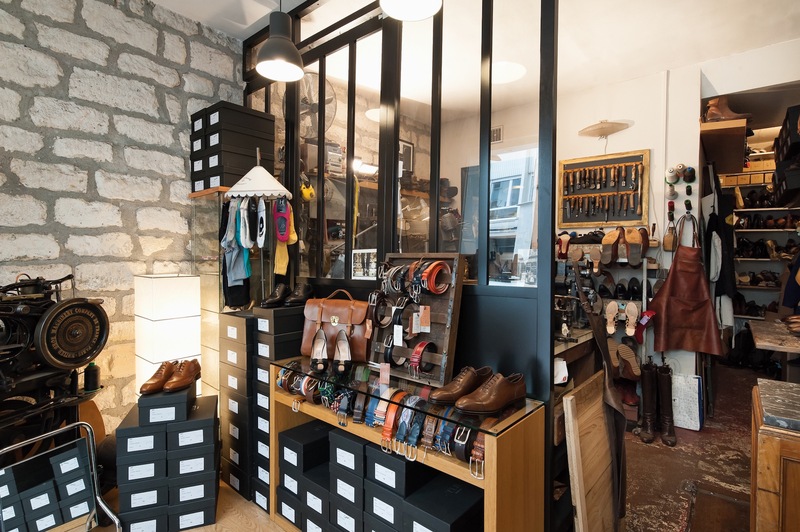 For more about Atelier Constance, head over to Montmartre Addict. Written by Elena Berton for HiP Paris. Photographed by Julien Hausherr. Looking for a fabulous vacation rental in Paris, London, Provence, Tuscany, Umbria or Liguria? Check out Haven In.